Remote ongoing individual coaching, one-off local sessions or consultations, and one-off or semi-regular remote consultations on various topics. These are the completely individualised services we provide to help you train smarter, race faster, and stay injury-free and highly motivated. It would have taken me years to learn what we've done in 5 months! The biggest benefit of coaching has been to learn about how to organise my training with different types of workouts (intervals/tempo/Z2/recovery). Last year when I was training by myself I hesitated not to go too hard, but since we've been working together I can trust that we are following guidelines that accelerate the process of improvement. That, along with getting feedback on a daily basis has helped me become efficient with my training and improve in all three sports have improved. Noticeably on the run, I've gone from 6:15 pace zone 2 run with a cadence of 72 to 5:30 pace with a cadence of 82. And my swim pace has improved by 17 seconds per 100 m! It would have taken me years on my own to improve like I've done and learn what I've learnt with you in 5 just months. If you want to be efficient with your training, and in the case of beginners like me, learn about the sport, you shouldn't think twice about signing up! Individual coaching is a remote service, where your coach monitors your training daily on Training Peaks, you have unlimited contact on email, Facebook messenger or similar, and bi-weekly coaching calls. In other words, coaching is much more than just a training program. Once you sign up for coaching, you'll complete a form with questions on your background, past training and racing, goals and aspirations, and so on. You will then jump on an on-boarding call with your coach to discuss all of this in even more detail. You'll get a Training Peaks account where you will get your training program for two or three weeks at a time. You'll know exactly what to do and when by checking your program on your computer, mobile phone, or through simple email notifications of your workouts. Your completed workouts will sync to Training Peaks through your Garmin, or whatever device you use. Your coach reviews all your workouts and gives you invaluable feedback. The communication channels with your coach are always open if you have any questions. We believe that communication is by far the most important part of a coach-athlete relationship. If communication is limited (as it is in many other coaching programs), that's just programming, not coaching. You will have regular coaching calls (typically every other week) with your coach where you will discuss your completed and upcoming training, your overall progress, and any specific topics that you need to cover and questions you may have. The framework described here is the one we recommend for most athletes when starting out with coaching. However, if you have specific requirements and wishes, just get in touch and we can discuss setting up a customized framework just for you. Signing up for coaching is super worth it! Being coached by Mikael was a learning process for me as a beginner. Mikael tailored my training plan after identifying my strengths and weakness which helped me trust him during the entire process. In addition, the communication was outstanding. We had great discussions all with the end goal of helping me reach my goals. Signing up for coaching is super worth it! First, I did not have to worry about what the right training for me next week would be. Second, Mikael evaluated my daily performance in workouts to track my progress and prevent unnecessary injuries. Lastly, through the coaching process, I built the confidence needed to overcome my fears allowing me to perform immensely well in each of my events. My goal when signing up for coaching was to complete the Ötztal Radmarathon in an honourable fashion and I certainly achieved that goal. I value a data-driven training approach highly, and with Mikael, I got that. He provided advice and analysis using tools like Best Bike Split and WKO4, in addition to Training Peaks. I also greatly appreciated the fact that you updated the program on short notice when there were changes in my schedule. I would highly recommend coaching with Mikael to others! 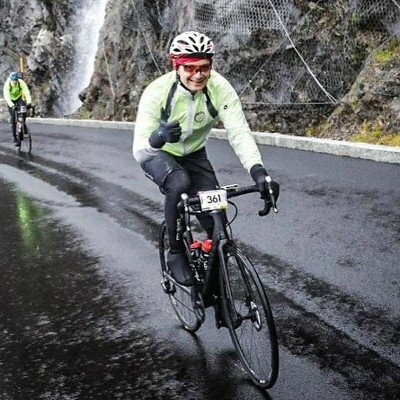 Ötztal Radmarathon is a 228 km road cycling race in the Alps with 5500 m (18 000 feet) of elevation gain. Although my main focus is on triathlon, I do also coach cycling (road and time trial), running (any distance from 5 km to ultra running), and Swimrun. Excellent outcome from top class coaching! Mikael's coaching is top class! I achieved and exceeded my goal of completing my first Olympic Distance Triathlon thanks to the efficient training and the discipline I got from being coached and having a professional plan. The communication was very good, and it was brilliant to get feedback on my workouts in Training Peaks. Signing up for coaching with Mikael was well worth the investment! Mark went from struggling to see how he could even complete the Olympic distance race, let alone within the cut-off time of 4 hours, to standing on the start line confident that he had what it took and easily finish in sub-3:30 even in tropical heat that saw others drop like flies around him on the run. Great benefits from the individual training program and the continuous communication. The greatest benefits of being coached by Mikael were the individual training program and the continuous communication. Through getting an individual training plan I got great insight to training and what works well to improve performance. And it was really good to get feedback on my training sessions, like not going out too hard! Thank you for your help and support and interest in my training! Achieved my goals and exceeded expectations! 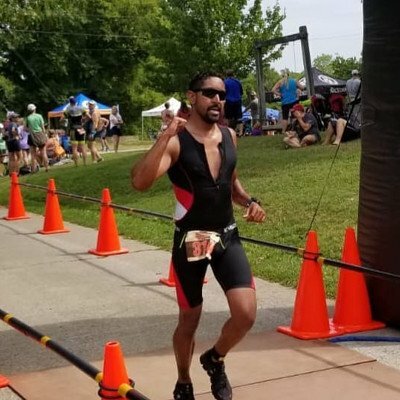 I achieved my goals and exceeded my expectations, going from a 45-minute 10k run to sub-40, and completing an Ironman 70.3 in 5:05 (with my goal being just completing it and enjoying it). Your coaching kept me focused with well thought-out, balanced training plans. And it was great to have you hold me accountable for the training through daily check-ins on Training Peaks. For anybody interested, I would highly recommend getting Mikael as a coach! Read Adam's Case Study Here! Really got results - I'm in the peak fitness of my life! Being coached by Mikael has been great! We have a good relationship and I get all the help I want. Superb flexibility to meet the changing schedules - I still don't understand how you have time to always react within 24h. Significant time improvements in races, and swim went from mediocre to good! Before being coached by Mikael, my training was all at the same pace and I didn't see any progress. I also found it difficult to stay motivated. When Mikael started coaching me, my training plans transformed and I really started progressing. My Olympic distance times improved significantly, and my swim went from mediocre to good. If you're considering getting a coach, I highly recommend Mikael. He is a really dedicated and passionate coach, and will transform your training and triathlon progress. The biggest thing that changed for me when starting being coached by Mikael was getting structure to my training program and getting more variety into my training. This allowed me to stay consistent with my training and train with purpose. If you have a goal and want to train with structure and purpose towards it, I highly recommend signing up for coaching with Mikael. You get your plan in two to four week blocks, so your plan constantly adapts to your progress. Your coach monitors your training on a daily basis and gives you feedback﻿, and advice as required. Your coach changes your training immediately if your training response indicates that a change is needed﻿. Coaching calls - this is where we really get to know each other and we can teach you the things that just a program can't convey. Training plans are just programming. Athlete-coach communication - that's coaching! Unlimited contact and communication through email, Facebook, Training Peaks, phone and other channels. We all share the same core values and are trained to follow certain key processes that are key for us when it comes to delivering world-class coaching for athletes of all levels, from complete beginners to World Champion contenders. Mikael Eriksson (M.Sc.) is the founder and head coach of Scientific Triathlon, and host of the popular podcast That Triathlon Show. He is also a front of the pack age-group athlete himself. He has coached athletes of all abilities, from taking very beginners through their first triathlon to helping advanced IRONMAN-athletes qualify for Kona. In addition to triathletes, he has coached runners, trail-runners, swim-runners and cyclists. 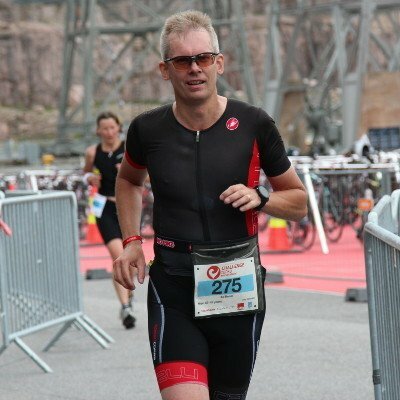 Mikael is the Founder and Head Coach of Scientific Triathlon. He started out as a runner and coaching primarily runners, but as his own athletic career shifted to triathlon, he soon also shifted his coaching focus to triathlon and started Scientific Triathlon in 2015. 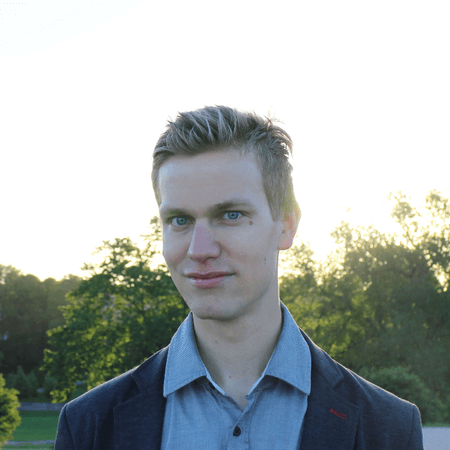 Studying engineering and working at a medical device startup with reading, interpreting, and applying scientific research a major part of his work brought an even larger interest to the evidence-based side of training for endurance sports to Mikael. However, he also teaches the importance of relying on “evidence-based” training as only one input to coaching decisions, with the others being the athlete’s feedback and experience, as well as the coach’s knowledge (outside of research findings) and experience. With the latter two being of greater importance. 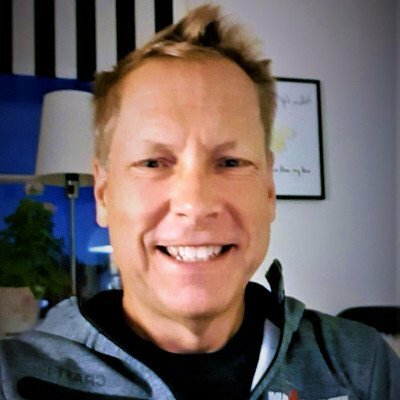 Mikael enjoys the challenge of finding the balance of getting the biggest possible return-on-investment on training time carefully considering multiple available inputs including the athlete's feedback and training response, his own coaching experience and advice from coaching mentors, as well as scientific evidence. More than anything, however, Mikael emphasises the importance of coach-athlete communication. Without great communication, a coaching relationship can never thrive. Triathlon is about so much more than just numbers in a training log, including psychology, confidence, and even productivity and time management, that it is only through ongoing, open and hones conversations between the coach and the athlete that an athlete can eer reach their peak performance. Mikael excels at coaching intermediate to advanced athletes with some form of performance goal. This doesn’t mean the athlete has to be fast, they just have to have the motivation to get faster and improve their position in their age-group, whether it's 25-29 or 65-69. Having a bike power meter is a big advantage, although not a prerequisite. 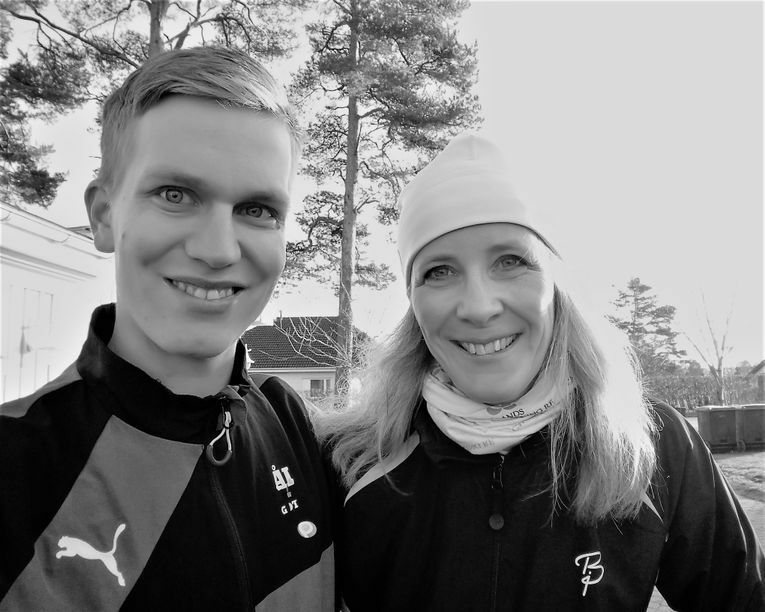 Mikael coaches an equal number of male and female athletes, and takes gender differences into account in his coaching. Coaching Experience: Started coaching in 2014. Full-time coach since 2017. -8th place in Finnish Olympic Distance National Championships 2018. 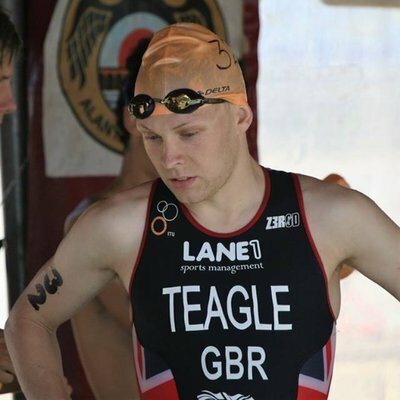 In addition to being a triathlon coach, James Teagle (B.Sc.) is an elite-level triathlete training with other world-class athletes and coaches at the Loughborough Triathlon Performance Centre. He holds a B.Sc. in Sports Science. James coaches athletes of all abilities, from complete beginners to performance-driven athletes. He brings all the commitment it has taken to reach a world-class level into his coaching, ensuring that his athletes get the greatest possible service and individual attention. 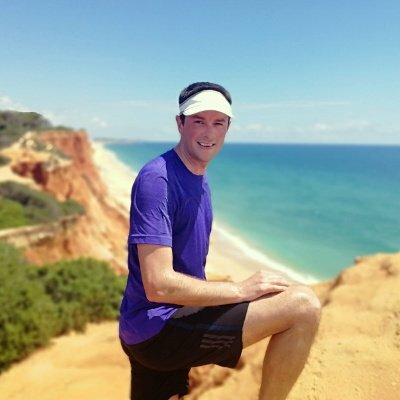 James is a qualified British Triathlon Level 2 Coach and has been coaching for Scientific Triathlon since early 2018. James is an elite level triathlete racing on the ITU international Circuit. As such, he has competed among the world’s best at various Elite European and World Championships as a Junior, U23 and Senior. James has had the privilege train alongside some of the world's best athletes including the 2014 Commonwealth Champion, Olympians, IRONMAN Champions and ITU World Series medallists as part of his squad based in Loughborough. In addition, he has been coached and mentored by some of the world’s best coaches. This has given him a unique insight into what it takes to become the best and experience of the best coaching practices, which gives him a great edge as the coach of performance-driven athletes. James also excels at coaching athletes at the very beginner level. 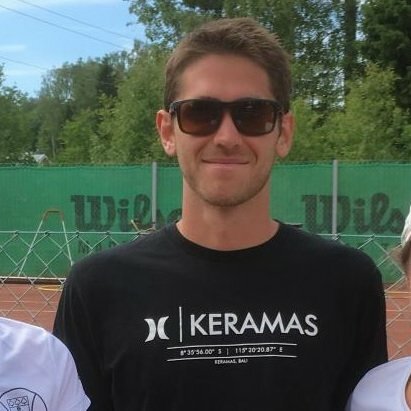 He has helped athletes that are just starting out in the sport progress rapidly and go from the couch to complete their first races in a short amount of time. His pragmatic approach and excellent communication and athlete-centred coaching ensure that all of his athletes are in excellent hands. Working at the East Midlands Regional Academy (part of the British Triathlon development pathway for talented junior and youth athletes) as well as leading and assisting with sessions at the Charnwood Triathlon Club, and Loughborough Students Triathlon Club, are experiences that have helped shape James as a coach and give him valuable in-person coaching experience. Coaching Certification: British Triathlon Federation Level II, Swimming Teacher Level I, Leadership in Sport Qualification, Apprenticeship in sporting excellence. An individualised, structured training program adapted to your goals, abilities, and other obligations will make you improve faster. Reducing training load when necessary reduces injury risks so you can stay consistent and have more long-term success. As athlete and coach we are a team. Having a team-mate encourage you throughout your training, but also counting on you to pull through, greatly increases motivation to train and enjoyment of the sport. With our coaching services, you'll get all the feedback, support and advice you need. We will have an open two-way communication. We always listen to your feedback and value it highly. Feedback, mentoring, and support like this are key aspects of triathlon training you can't get with just a training program. If this sounds good so far, you're kind of interested and think it's worth investigating further, then I suggest we set up a Skype call (or similar) to see if coaching is a good fit. You will also get confirmation if we have any slots available, since we coach a limited number of athletes. If no slots are available, you will get the opportunity to get on a waiting list and get first dibs on any new slots opening up. 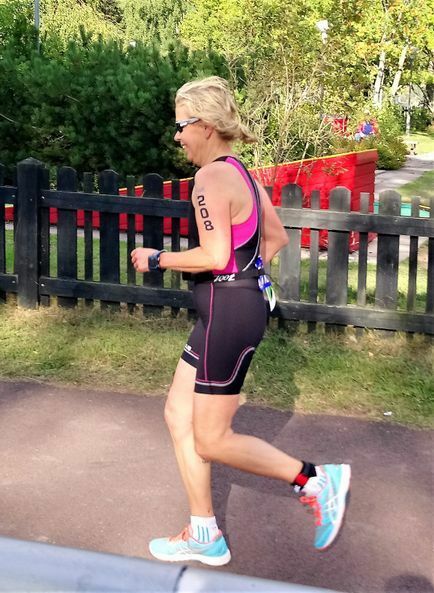 I also offer bespoke consultations (remotely or in person) both on specific topics or as general feedback and advice sessions on your overall triathlon training. Contact me and we can discuss what topic would be best for you. Some examples of specific topics that I have consulted on previously include how to use Running Power Meters for best effect in training, how to use Training Peaks (what to measure and monitor and what to ignore), WKO4, and of course, general triathlon training, strength training and nutrition consultations. The consultations can be either live as Skype calls (or equivalent) or email-based, so you send me your questions and/or training data and I answer the questions and potentially prepare a performance report for you. When the consultation topic is your overall training, you will generally give me temporary access to your Training Peaks data (or whatever platform you use) so I can really dive deep into your training. I got a lot of great advice in a short time during a consultation with Mikael. All based on his review of my training history and my upcoming goal, my first Ironman. He helped me figure out how to spend the last 5-6 weeks before the rest and how to taper. And gave me key workouts directly into my Training Peaks account during the consultation. I hit almost all of my goals and would definitely recommend the consultation services to others. Ten out of ten! In a little more than one hour (some of it Mikael's offline review, most of it a Skype conversation) Magnus got the advice and direction needed to maximise the time left before his season's A-race, IRONMAN Kalmar. My consultation services are not just chit-chat. The entire session is recorded for the athlete's later reference, and the athlete also gets a written summary of the main points. In cases like Magnus', they might also get workouts or a draft training plan outline directly into Training Peaks. 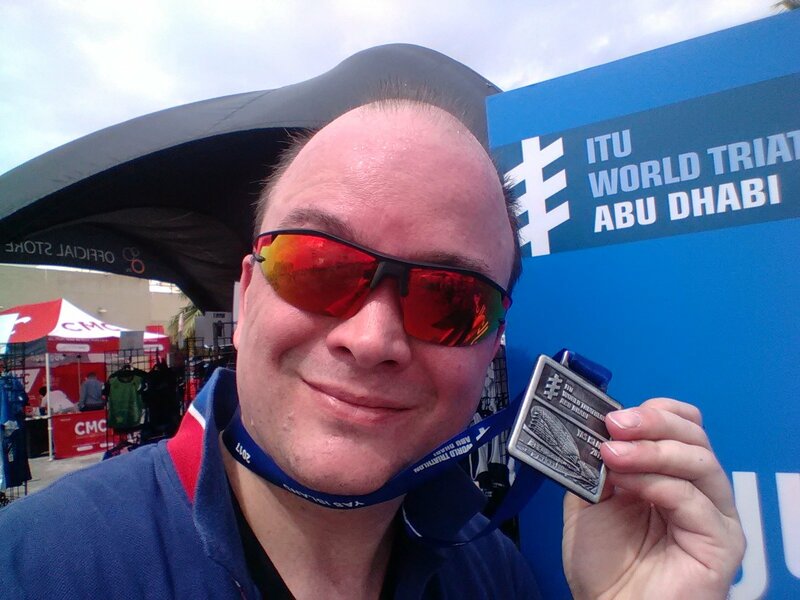 "Achieved my sub-5 goal for the 70.3 distance with a customised plan and consultations!" I hired Mikael to create a customised training plan in multiple 8-12-week blocks with the end goal being finishing my first half distance race, and do it in under 5 hours. I also signed up for a few phone consultations throughout this period as support for the customised program. The customised plan improved my training and its progression and periodisation. Mikael took my fitness level, goals, and time constraints into account and made it a truly individualised plan. The consultations helped me execute the program even better and get answers to any questions I may have around training or training prioritisation, nutrition, race planning etc. This approach was a great alternative for somebody who cannot commit to ongoing individual coaching. I achieved my goal and finished my half distance race in 4:54, and also set a new Olympic distance PB in the process. Great investment in my training that achieved the outcomes I wanted. I would highly recommend Mikael's customised training plans and consultation with him to others! My consulting rate is 70€ per hour. The best way to get started with a consultation is to email me and tell me what you think you need help with. I will assist in pinning down the scope of the consultation to whatever is best for you and your unique situation. We share the same core values and are trained to follow certain key processes that are key for us when it comes to delivering world-class coaching for athletes of all levels, from complete beginners to World Champion contenders. Communication is at the core of any good coach-athlete relationship. When signing up for coaching, you should be aware that there is no magic training program. What will really move the needle for you is to have ongoing, open and honest communication with your coach so that you can execute your training well, so that your training can be adapted if needed, and importantly, so you can set yourself up to really perform when it matters on race day. Individualisation is a prerequisite if you want to reach your true potential. No two persons are the same in terms of physiology or life circumstances (family, career etc. ), so no two approaches to training should be the same when we're looking for maximal athletic development. Commitment to an athlete-centred approach where we always dedicate time and energy to each and every athlete is another essential cornerstone of great coaching services. For us to be able to deliver on this commitment, we limit the number of athletes that we coach to ensure that we hae enough bandwidth and time for you and your needs. Expertise in knowing how to develop effective training programs, how to educate the athletes on executing those programs, in the scientific background of effectie training and exercise physiology, and of course in how to perform on race day is another key piece of the puzzle. Your training should never be random. It should be based on known best practices, scientific evidence, exercise physiology, and knowledge of your individual physiology and how it relates to your race goals.